Shortsightedness is a huge problem in Singapore and many big cities around the world. More than half of Singapore schoolchildren are already wearing glasses for shortsightedness by the age of 12 years. What is worrying is that the earlier one starts out becoming shortsighted, the higher the final spectacle degree tends to be. Very highly shortsighted people are at increased risk of eye problems like cataract and retinal problems at a younger than average age. It is important therefore that we try to slow down the increase of shortsightedness as much as possible. Ensure that a child spends 1-2 hours outdoors in sunlight each day. Take regular breaks from near work when reading or with computer use. Apart from these, using Atropine eyedrops is the only method proven in big studies (randomised controlled trials) to slow down the rate at which shortsightedness increases. 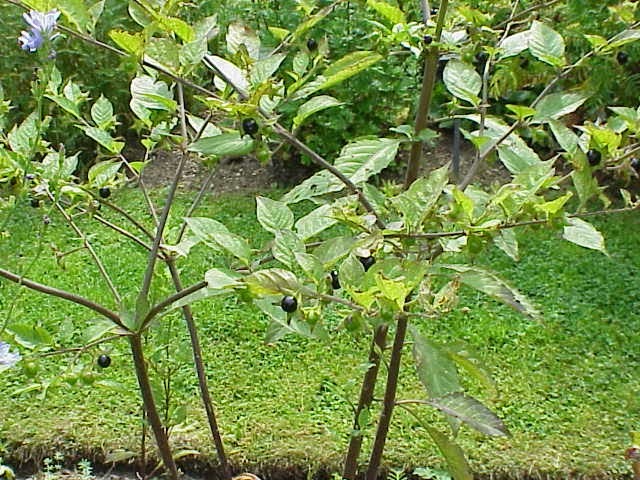 This is a chemical obtained from plants in the same family as the nightshade plant. Owing to the presence of extremely high levels of atropine and other chemicals, the berries and leaves of the plant are poisonous. Interestingly, the nightshade plant is also called ‘belladonna’ (meaning beautiful woman in Italian) as people in the past used atropine to dilate the eyes for a cosmetic effect! It achieves its effects in the body by blocking a special receptor molecule that among other things controls the action of muscles as well as the growth of the eyeball. Atropine is available in many forms, but for eye conditions it is used as an eyedrop. Various concentrations have been tried but the commonly available concentrations are 1%, 0.125% and 0.01%. Traditionally, to reduce the rate at which shortsightedness increases, 1% Atropine eyedrops were used once a day or even once a week. In a study at the Singapore National Eye Centre, 1% eyedrops used once a day reduced the progression of shortsightedness from an average of 100 degrees a year to less than 25 degrees a year. Our experience suggests that using it even once a week has a very similar effect. Atropine 1% dilates the pupil and relaxes the muscle used for near focusing inside the eye. As a result patients feel very sensitive to bright lights and with normal glasses on have difficulty with close up work such as reading. If this concentration is used, special glasses which turn dark outdoors (‘Transitions’ lenses) and which have progressive lenses (having a near section below for near focus) are required. All of these side effects are temporary and disappear when the patient stops using the drops. In an effort to do away with the side effects of Atropine, lower concentrations of Atropine were tried. When used once every day, 61% of those using 0.1% and only 6% of those using 0.01% Atropine felt a need for special ‘Transitions’ and progressive lenses. Therefore, normal glasses or contact lenses can usually be worn while the 0.01% Atropine concentration is used. However, the lower concentrations are not as effective as the 1% concentration at slowing progression of shortsightedness. On average, the myopia progression over 2 years for 1% Atropine was 28 degrees, for 0.1% 38 degrees, and for 0.01% 49 degrees. This was still better than the 120 degree increase seen in those who were not using the Atropine eyedrops. Whether 1% or 0.01% Atropine is used, the eyedrops must be used for a long period of time. Although the shortsightedness increases at a slower rate while Atropine is used, the rate increases again when it is stopped. The idea is therefore to use the Atropine during the period of time when the shortsightedness is increasing fastest. Usually by about 18 years of age, the rate of increase of shortsightedness would have already slowed down naturally. This means that on average, most children who use the eyedrops would be using them for several years. The longer the eyedrop is used, the bigger its potential effect. For example, if a child had shortsightedness that was increasing by 100 degrees every year, using the 1% eyedrop for 3 years would reduce the final power by 300 degrees. This might mean that instead of having 500 degrees of shortsightedness as an adult, he/she would only have 200 degrees of shortsightedness finally. In trying to slow the progression of shortsightedness, a number of decisions have to be made. Should Atropine be used or not? Should the 1%, 0.125% or 0.01% concentration be used? How long should the child continue with the eyedrops? These decisions should be made after a discussion of the pros and cons of each decision with your eye doctor. For example, if the shortsightedness is increasing very fast and is already of a high degree, one would favour using the 1% eyedrop despite the side effects. On the other hand, if the side effects cannot be tolerated and one is willing to give up some of the stabilizing effect of the 1% eyedrop, then the 0.01% concentration is a good option. Please note that I do not run an online pharmacy, and these are illegal in many parts of the world. Do not request Atropine from myself, or any other doctor, unless you or your child have seen the particular doctor and it has been determined after a proper consultation that Atropine is necessary. Requests for Atropine will be deleted in the future to avoid cluttering up the comments section in this post. Very interesting. I am an American of Indian descent and both my girls have myopia. Let me see if their ophthalmologist will prescribe them atropine. is 0.125 % more potent than 0.1 % ? Hi Manix, 0.125% is slightly more concentrated than 0.1% atropine, but in terms of their effectiveness and side effects, they are more or less equivalent. Bear in mind that both 0.125% and 0.1% atropine dilate the pupils and can affect near reading somewhat while wearing glasses, so if your daughters use these concentrations they would need special transitions (photochromatic) glasses which are also progressives. That's part of the reason why we nowadays almost always start off with the 0.01% concentration of atropine. Hi Dr Por, your blog has been very useful and provides me with additional info on atropine. My son was on 0.01% for 1 yr+ but his myopia is still increasing pretty fast. His power increases by 50 about every quarter. I have decided to switch him to 0.125% and to 0.1% if it still doesn't help. I am wondering if any eye supplements or food will help to slow the progression? Tks! Thanks for your comments! If your son's myopia is still increasing at that rate, I agree that it would be worth considering a higher concentration like 0.125% or even 1%. You would then need the special transitions and progressive glasses. Do remember that these drops need to be used as consistently as possible, over a long time period. There is no evidence that any dietary changes or supplements help with myopia progression. Generally our recommendations are still to increase outdoor time, and to use atropine. Hi Dr Por, yes, I meant 1% atropine if the 0.125% don't work for him but that would mean adapting to the progressive and transitions glasses. We are trying our best to increase his outdoor time but sometimes it's really difficult looking at our Singapore's education system. Yes, it's not easy to increase outdoor time-I think it is a number of factors combined-including our Singapore weather (very hot a lot of the time, raining often), lack of an 'outdoor culture' (even PE in schools is often conducted indoors) and of course the many tuition classes/CCA taking up precious time. There are a number of forum commenters and websites or posts that try to get people to buy supplements, but they confer no benefit, as long as your child is eating a healthy balanced diet. I M ROHIT, I am occuring from myopia -3.85 both, what should i used atropine 1% or .1%. Hi, whether atropine would be useful to you would depend primarily on whether your myopia is still increasing or whether it has stabilised. So for example, if last year it was -3.75 and this year it is also -3.75, then atropine would do nothing for you. On the other hand, if last year it was -2.75 and this year it is -3.75, and you are in the age group where axial myopia can progress quickly (ie between about 7-17 years of age), then you can consider atropine treatment to slow down the rate at which the myopia increases. If atropine is suitable for you, then you should discuss with your doctor the pros and cons of the 1% vs 0.01% concentration. The 1% concentration can have a stronger stabilising effect, but has side effects and can be associated with a greater rebound phenomenon. Most new patients that I see start off with the 0.01% concentration nowadays. My right eye has a diopter of -1.0, and my left eye has no degree. Will these drops help my right eye reduce its myopia? Also, it is my first month experiencing myopia in my right eye. Hi Constance, sorry for the delay. Atropine does not reduce spectacle power. Depending on your age, atropine might help but only in so far as reducing myopia progression-ie slowing down any future increase. This has mainly been tested in children. In an older adult eg 50s or 60s, especially if there is associated visual blurring, the eyes should be checked for other things like cataract if myopia is increasing. Where can I buy the Atropine 0.01% in U.S? it is a prescription medicine here and my doctor said she does not believe it and can't provide me the prescription. Hi there, atropine is a prescription medicine pretty much everywhere. The 0.01% concentration may not be commercially available in the US but any compounding pharmacy should be able to make it up if a doctor prescribes it. I suppose that should help to convince more doctors regarding the effectiveness of this medication in myopia. As previously mentioned, Atropine is a prescription only medicine so you need to see an eye doctor first. If he/she feels that your situation or your child's situation requires it, then he/she will prescribe (and dispense) that medicine to you. We have been giving Atropine 0.01% to our 7 year old son for last six months. But, it has not shown any improvement (his number changed from -4.5 to -5.5 in six months). Since we don't have a higher concentration here in USA (like 0.1, 0.5), will it be beneficial to increase the frequency two times a day (currently we give every night before sleep) or use two drops (instead of one drop) every night. Hi Guy, no, I am not aware of any studies done which look at the effects of combining atropine treatment with orthokeratology. In Singapore, orthokeratology is still often frowned upon by the medical community even though I would say it is slowly gaining wider acceptance. I don't know of any colleagues who combine the treatments. Theoretically I don't see any harm from combining 0.01% atropine with orthokeratology, but it would be good to do so under the care of an eye doctor in your area after you discuss the pros and cons with him/her. Combining the treatments like this probably should be considered 'experimental' for the time being, in the sense that we don't know the benefits it could add to existing treatments. Dear Dr Por, My child is now around 500 deg. Can she start with 0.01% concentration? She is now wearing progressive lens. Her degree increased around 125 after 18mth of wearing the progressive lens (she still reads under unfavourable conditions when not unsupervision). Thanks. Hi, yes, I would think your child could consider the 0.01% concentration of atropine. The atropine may not completely stop the myopia progression, but can slow it down. Do discuss it with your eye doctor. I'm 39, myopia person who suffers from severe cobweb floaters. The research showing atropine 0.01% is effective and with no or minimal side effect is interesting. Someone from our floaters community have tried atropine 0.01%. He reported no blurring of vision, very minimal glare at night. Other than that, he did not see his hundreds cobweb floaters for the next 30 hours. The drop does not cure floaters but it certainly help to provide relief. Would you be considering to do clinical trial ? Hi Kenny, sincere apologies for taking so long to reply. No, unfortunately I will not be conducting a trial in this regard. What is known about floaters is that they are generally less obvious when the surroundings are darker, and also when the pupils are dilated. It is possible that in some people atropine 0.01% dilates the pupils ever so slightly, so that while it does not cause obvious blurring, the slight dilation is enough to reduce the symptoms of floaters. In general, I would not expect any problems from trying atropine 0.01% to reduce your floaters, and you could ask your eye doctor about them. If your eyes are dark brown, there is a higher chance that the drops don't work so well in dilating the pupil. As such, the only problem I forsee is perhaps the lack of predictability of using atropine 0.01% for this purpose. Thanks for getting back. My eyes are dark brown and you're right that the dilation is less than other people who tried it - any reason for this? It does help a bit but given it does not dilate my eyes much , I have to use many drops a day (and no side effect like blurring). I'm currently using 0.05%. Usually 3 drops a day but sometimes 6 drops when floaters are bad. So far I don't feel any side effect. I checked my eye pressure regularly (3 to 4 weeks) and they are normal. The pigment in dark brown eyes tends to absorb some of the medicine and reduce its effect. To get the same effect as a lower concentration in light coloured eyes, a slightly higher concentration like the 0.05% that you are using is probably required. You should use this under a doctor's supervision as the medicine is prescription only in most countries. My son in usa started .01 this week his number jump 4.5 to 6.75 in 8 month. I am very afraid what do you advise me and my next visit is in 2 month. I also like to know if his number keep on increasing can he go blind. Hi there, since your son has already started on the eyedrops, I would just carry on and keep the appointment for a check up. Such a large jump is quite unusual but I cannot say more about that as the measurements were not done in my clinic and I have not seen your son before. Specific questions about your son are best answered by your doctor, but in general most shortsighted people do not go blind. Hi Dr. Por, my son is now 8.5 years old from 20/20(March) and jumped to 20/70(Nov) in 8 months. Doctor prescribed 0.01% atronpine. But started using a few days, he complained about the eye itchiness, the doctor said it is the atropine caused the allergy and prescribed patanol. However, I feel that the patanol holds the dilation longer than usual, after using the patanol for two days once a day, he complained about the light and blurred vision. His pupils was dilation more, I had to stop both eye drops for 3 days. So what would be your suggestion to us? His doctor is one vacation. What else can be used to reduce the allergy besides patanol? Can I use the atropine in alternate days? if used the atronpine in alternate days, it is still effective in slowing down the myopia? please advise whatelse can we do or try? Hi Ellen, in general, if patients are getting significant side effects from their medications, it would be advisable to stop the medicines in the first instance and then see their doctor as soon as is practicable. In your case, it is probably best to stop the atropine for now, and wait until your doctor comes back from vacation for further discussion regarding the options. Hi, there is no reference out there, I think because the dilution is relatively simple ie you can dilute eg 0.1ml of 1% to 10ml of 0.01% with sterile water for injection. But the thing to consider is how you are going to preserve that for the usual duration of use, and different places have different protocols or methods for that. Hi Doctor Por, I've heard about Atropin Sulphate from a friend of mine. I'm currently 16 years old and I have really terrible eyesight, would this medicine still work for me? Hi Ava, atropine is used to slow myopia progression, ie to avoid a rapid increase in shortsightedness. It does not improve the spectacle degree that is already there. Usually at 16 years of age, your shortsightedness is not increasing that fast anymore, so from that aspect, atropine is unlikely to be helpful for you. You can still consider using it if your shortsightedness is increasing very fast, eg about 100 degrees (or -1D) every year. I am based in Singapore and have a 7 year old daughter who has 6/9 vision. Can she get prescribed atropine as a prevention to myopia? Or only when she starts experiencing myopia? Hi Michael, we don't usually recommend atropine as a preventive measure because we cannot predict whether the particular child is actually going to become myopic or how fast their myopia will progress if they get it. This is bearing in mind that the treatment requires a commitment of several years at least and does cost some amount of money. At the moment there is an ongoing study looking into this aspect and the results will hopefully shed extra light on the cost effectiveness of using atropine like this. In the meantime, it is really only on a case by case basis, eg if there is a high risk with both parents having very high myopia, and the patient is very motivated and willing to use the drops even without any overt problems. Interestingly, atropine is a good antidote for nerve agent, the one that killed Kim Jong Nam. So we should carry some eyedrops with us when we go Malaysia.LOL.Anyway we can also get from Watson. Back to short-sightedness or myopia, the main problem is when we bring kids to opticians, they ask our kids to see far for the very small alphabets. So the spectacle is meant to see far. But 80% of the time, the kid will be seeing near, his books, laptop or even handphone. So his eye muscle will contract to make his eye bulge to counter his new glasses meant to see far. This problem is already known in the US and smart parents are getting their kids reading glasses to arrest the deteriorating myopic. Here in Singapore, our myopic approach to eyesight problem is a spectacle indeed since our prescription methodology is causing our kids not able to read for long duration or concentrate fully due to eye pain or wrongly used far distance lenses for reading. So we classified them as ADSD or other kind of syndrome. Hi, in actual fact, kids have no problem focusing for near even if you give them the full distance glasses prescription. They only have a problem if they use stronger strengths of atropine like 0.1% and above ie there is no problem at all with focusing if you use 0.01% atropine. Our prescription methodology (prescribing for distance vision) most certainly does not cause problems with reading or concentrating for long durations. Think about it-when we prescribe for distance vision, we are only giving the child vision that they would get if they were not shortsighted-ie we are giving them vision that is normal for their age. Volume 42, Issue 22, October 2002, Pages 2555–2559) which showed that undercorrecting myopia caused it to progress faster. Hi, I am not sure what you mean by glare exactly, and I am not sure how you have an IOL and keep your original lens also. I think it's probably best that you ask your doctor about these experiences you are having. Hi Doctor, would like to check the Atropine Eye Drop is produce at where? Where can we get this? Can we buy at normal pharmarcy? Atropine eyedrops, like all medicines, can only be prescribed by a doctor. You need a doctor's supervision, to see if the medicine is effective, to monitor for side effects and so on. If your child has myopia and it is progressing quickly, do bring him/her to see an eye doctor and check if atropine might be helpful. Dear Dr Por, my son who is 8 years old and has a degree of 425 on both eyes. For the past 3 years, the power has increased for about 100-125 per year). I think it can potentially reach a degree of about 1200 before it stabilizes if he don't go for treatment. In event if he needs to use Atropine concentration of more than 0.1%, it might result in difficulty with close work. He does not wish to have this side effect but has no resistance to wear the normal glasses. May I know is there any other eye problems (e.g. detach of retina, nerves/blood vessels injury etc.) which could result from the high degree. Thanks in advance. Hi, using atropine 0.01% does not cause any significant visual side effects usually, especially in brown eyes, so your son can start with this if the myopia is progressing quickly. High degrees of myopia are associated with an increased risk of retinal detachment, and extremely high degrees above 1000 degrees are associated with an increased risk of macular degeneration later in life. Also, high degrees of myopia may limit the options for refractive surgery if your son ever wants to have that done when he is older. Dear Dr Por, your advice is very much appreciated. Many thanks from the bottom of my heart! You are truly a good and helpful person. Hi Dr. Por, My 7.5 year old son is going to start with 0.01 Atropine soon, here in the US. His myopia had been increasing by 0.75 D every year from the time he was 4 years old. But this year (actually in 14 months), it went up by 2.75 D in each eye. Astigmation went up by 0.25 in both eyes. His eyes are otherwise healthy. The doctor also did a corneal scan for Keratoconus and it was negative. Everyone who checked his eyes said there is a big jump but no one gave us any explanation as to why it jumped so much in such a short time. I would greatly appreciate your thoughts on this. I have -10 myself and my husband has only -2. My myopia's progression was never so rapid. No one else in my entire family has high myopia. We are terrified. We are of Asian Indian ethnicity. Is there any research on whether Atropine 0.01 works for Indians? I forgot to mention that he is currently at -4.25 sph -2.75 cyl in both eyes. He was -1.50 sph -2.50 cyl during the last checkup 14 months back. There are generally speaking only 2 possibilities for the power to increase, or seem to increase like this. Firstly, if the refraction was not done with a cycloplegic agent (dilating eyedrops) it is possible that he was 'accommodating' during the test, thus causing it to show a falsely high degree of myopia. If cycloplegic drops were used and the myopia was still shown to be -4.25 currently, then it would be due to excessive growth of the eyeball. This is caused by both environmental as well as genetic factors. Some things you can change, others are more difficult or impossible to do so. Also, there are still many unknown factors influencing eyeball growth and myopia progression-a big part of the reason why no one gave you an explanation is that much is still unknown. As far as I am aware the atropine drops should work. In fact some of the study patients in the Singapore study would have been Asian Indians, but regardless of this, I would expect at least some effect of Atropine across different racial groups on average. Don't be terrified. You are -10, and I am also -10 in one eye, and I think we can do most things just fine:) If cycloplegic refraction has not been done yet, get it done to reassure yourself that the myopia is real. If so, then it is a good idea to go ahead with 0.01% Atropine and then re-measure the myopia in about 6 months' time. Thank you so much for your reply. I truly appreciate your help. My son is now 8 years old and he had his 6 month check up today for the .01% Atropine drops treatment. 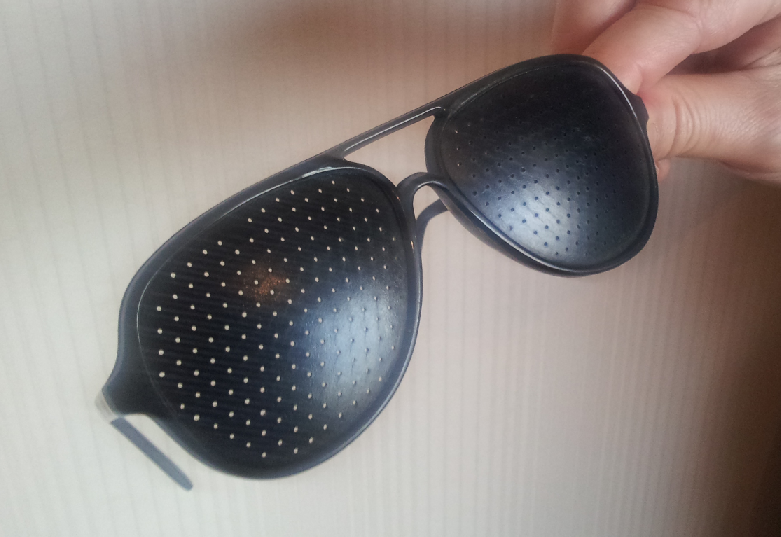 The glasses that he is currently using is 8 months old (we had started the drops treatment 2 months later). Both eyes went up by -.75D. Astigmatism in one eye went up by .75 in 8 months. I would be grateful to know your thoughts on this. Please see my earlier message also on April 3 2017 for the big jump that had happened in the 14 months prior. We are now thinking about Ortho-K also. The optometrist told us that we can do it simultaneously but they don't do Ortho-K at their hospital so we will have to do it elsewhere. One of our friend's child (10 years old) vision has remain unchanged in 6 months of ortho-k use. We feel encouraged by that. But we are also scared to try it because the senior Pediatric Ophthalmologist at our current hospital who had seen our son during initial consultation in April 2017 had strongly recommended against it. A google search is also showing some scary results. I would greatly appreciate your thoughts on combined Ortho-K and .01% Atropine drops treatments. Thanks! Hi, assuming that the refractions are accurate, a 0.75D increase in myopia in something like half a year could lead to approximately a 1.50D increase for the year, which is fairly rapid progression but still better than the 2.75D in the prior 14 months. That reduction in progression is likely due to the Atropine 0.01%. I do not know what a Macro scan is. You could continue with the current 0.01% concentration, or discuss with your ophthalmologist about possibly increasing the atropine concentration, bearing in mind any increase will lead to the side effects of pupil dilation and reduction in accommodation, thus requiring special glasses that are photochromatic and bifocal. I don't particularly encourage Ortho-K myself and it is something you will also have to discuss with your regular doctor. Thank you so much for your reply Dr. Por. They did a OCT retina scan. Unfortunately, higher atropine concentration is not an option offered by this hospital. In your experience, does the most rapid progression of myopia occur in the 9 and under age group? Does the progression slow down after 1 year of atropine use at least? The optometrist gave us the new prescription but left the decision to us whether to buy new glasses or not. Currently, my son has no issues at home or at school and seems to be seeing fine. Is it necessary to change his glasses with the new prescription right away? Will under correction for 6 more months till his next checkup cause more rapid deterioration? Sorry for so many questions. Yes, every Pediatric Ophthalmologist we have seen over the years in the US have strongly advised against trying Ortho-K. Probably they may be seeing more infections than what is getting reported? My Daughter who is 5.5 years old , today just diagnosed with 1.50 n 1.75 myopia n astigmatism of 50 n 75. Can she start with the atropine 0.01 drop n if yes usually how Long will she need to use? Hi Sheryl, how was your daughter's spectacle power measured? At her age she should have a spectacle power measurement with eyedrops to dilate her pupils-this is called cyclorefraction and is usually done at a doctor's clinic. Without the eyedrops, sometimes the measurement is not accurate. I usually do not start a child on atropine straight away, because occasionally we have cases where the spectacle power is not rising so fast. If your daughter really has this amount of shortsightedness, I think you could remeasure this in about 6 months' time and then start the drops if it has increased by more than about -0.50D or 50 degrees. 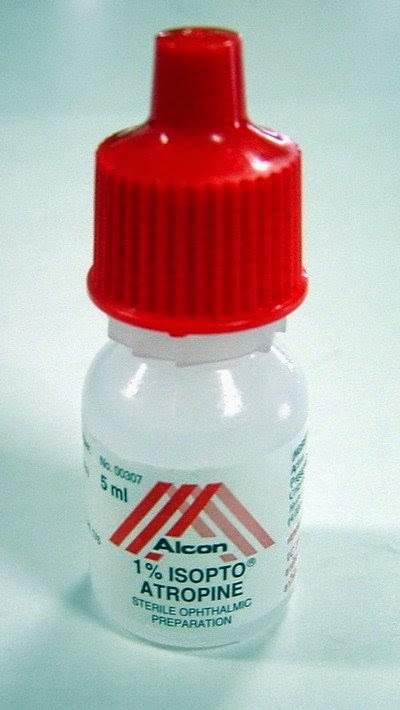 As mentioned above, children who use these eyedrops on average will use them for a few years, sometimes even longer. The longer the drops are used, up to a point, the bigger the stabilizing effect that is achieved. Hi doc. My kids doctor has prescribed atropine 0.01% for my 6 year old daughter. But in UAE only atropine 1% is available. Can we dilute atropine 1% in tear plus to make it .01% or should we use sterile water for injection to dilute. Thanks. I don't really advise you to dilute it yourself, but if you are going to do it I think normal saline would be better than sterile water for injection. Sterile water for injection has basically zero mosm/l, ie it is like distilled water. Putting that in the eye can sting somewhat. Artificial tears have different additives which can include thickening agents like guar gum, hyaluronic acid, various methylcelluloses etc, and it is possible these may affect the penetration of the atropine by binding to it, especially when it is in such a dilute form. ı wanna use my patients but the issue that we face is we only have 0,5 mg / 1ml atropine vial for injection. FROM THİS HOW CAN I PREAPARE %0.01 DROP. As above, I don't really recommend you dilute it yourself. Please see the comments above. Are you using preservative free 0.01% and is it approved in Singapore? Also do you think preservative will enhance the efficacy of the product. Yes, we are using preservative free 0.01% atropine. I don't think the presence or absence of preservatives will have any effect on the product's efficacy. We just use it in this form as it is the one available to us. Either will be fine. Hi, atropine does not need to be refrigerated or kept cold in storage so I think you will be fine. As long as it is at room temperature and it is not exposed to direct sunlight, it will remain active. Be careful not to leave it in a hot car-temperatures in a car exposed to the sun in the tropics or during summer can easily go above 40 degrees Celsius. Thanks so much for your prompt reply. but any clinical tests were done to know if stop the use of atropine for a few days will accelerate the short sightedness? In our country the 0.01 atropine is made by compound pharmacy, and I was told to keep it in refrigerator from day 1, that is why I am concern. Hi there, did the study find any eyes that had an increase in eye pressure due to the Atropine 0.01% drops? No, so far myopia studies that were conducted in children did not find any rises in eye pressure due to atropine 0.01% eyedrops. Hi Dr Por. My 9 year old son's myopia increased; the right eye from -2 to -2.5 and the left eye from -1.75 to -2 in 4 months. He has just started using Atropine 0.01% drops once a night as prescribed by his eye doctor. As he requires new glasses, please advise if it is absolutely necessary to get him photochromatic lenses. Thanks. Generally it is best to follow your regular doctor's advice. Personally however, I have not found it necessary to use photochromatic lenses for my patients using atropine at this concentration of 0.01%. Hi, unfortunately you cannot buy it in Singapore for your friend. This is the same as for any other prescription medicine, such as antibiotics. Your friend's grandson can only be prescribed and dispensed this medicine if he is seen by a Singapore doctor, diagnosed with a condition requiring it, and then given proper explanation regarding its effects, side effects, rationale for use and probable length of usage. It is not something that can be used without supervision or over the counter, as it can have side effects and also if not used properly (such as with irregular use) can potentially have no effect. He has been using 0.01%stropine after the first visit(Dec 7,2016) upto now is almost a year. do you agree that the atropine does not have any effect on his eyes as right now is OD-3.00 vs -1.75 last year and OS -2.5 vs -1.75? To me, just about 11 months, and increased a lot. And also the cylinder is getting worse too. Doctor told me my son has astigmatism, so do you think the eye drops make his eyes have this? as I heard the atropine makes the eye muscles relax. Honestly for the past one year, I reduce his time a lot in TV and ipad(honestly he did not watch that much, only a few hours per week in the past and now only maybe 1 hour per week) and take him out to have outdoor activities quite often such as basketball and soccer, (but he loves to read books a lot, around 1.5 - 2 hours per day non stop in reading books) but still the shortsightedness is increasing so fast. I though using atropine can slow down much more, but seems not that much. What is your advice now? I and my husband started to wear glasses from higher school and upto now is only about -1.75 to -2.25, so I surprise why my son got the shortsightedness so early and so worse. Hi, in cases like this I would first make sure the new measurement was accurate by doing a full cycloplegic refraction. Then, if there was a real increase, you need to look for possible explanations (such as inconsistent use of the eyedrops), and only then could you say that you are not getting sufficient response to the atropine 0.01%. In that case, you need to discuss the options with your doctor, which could be giving up the atropine (and accepting the continued increase in myopia) or possibly consider increased concentrations of atropine. But I would emphasise that you need to take it one step at a time ie First make sure the increase is real, and secondly, if so, to look for possible explanations. I am 14 and have been recently been told I have myopia with -0.50 in one eye and -1.0 in the other. I really don't want the myopia to get worse. Would atropine 0.01% benefit me? As with other people, first we need to make sure the reading is accurate. If so, and if the myopia has developed recently, then yes, atropine 0.01% could help to slow down the worsening of myopia. My son 13 year old has been on atropine 1% since Feb 14. On average for the first 3 years, his increase in eye power is 75 per year for both eyes. For the past year, it increase by 125 for both eyes. The atropine is given once to twice a week. his eyes look very tired and he would not open his eyes wide due to the sensitivity of light from the atropine side effects. I'm just wondering if I should switch to a lower dose like 0.125% and apply everyday to gain less side effects to light sensitivity and it will be more effective than applying a higher dosage but just one ot twice a week. Getting 125 increase in eye power with a 1% atropine dosage of once/twice a week is not a good and intended result that we expect of atropine. The eye doctor said that lower dosage is not effective from his years of experience and he does not carry anymore. He started with 475 (R) 475 (L) and now is 750 (R) and 7/25 (L). I'm also worried about the long term effects of using this eye drop and not sure what I should do now. How many more years he can safely use this eye drop and has it lose its effective with the recent one year increase of 125 eye power? I heard with this 1% atropine, when stopped, will cause a greater rebound in eye power.I'm in a fix, please advise. When can we stop and how should we stop to minimise this rebound? Hi, any concentration higher than 0.01% of atropine is likely to cause pupil dilation and difficulty with near focusing, so I don't think you can reduce the side effects by switching to 0.125% atropine. Also, any reduction in the concentration of atropine is likely to cause some degree of rebound myopia. Because of the 2 reasons above, it is probably best to continue with atropine 1%, if that is what you are using currently, and if your main priority is to stabilize the myopia. In general, I would try to stick to a regimen that is as regular as possible. If you do once a week, then stick to once a week. Or if you do twice a week, then stick to twice a week. My feeling is that often, when atropine does not seem to stabilise myopia as well as it should, there could be times when it is not being used thereby causing rebound myopia to happen. You and your son need to decide, whether the side effects are tolerable or not. If not, I would encourage you to go back to your regular doctor and discuss further, whether to stop the atropine. If the side effects of atropine 1% are not tolerable, it may be best for some people to just stop and accept that there will be a period where the myopia will increase during the rebound period. My 10 year old daughter has been on Atropine 0.01% for the last 2.5 years. While it has helped with the degree increase in the right eye, it has had limited effect on her left eye. The disparity in degrees is now quite wide and is likely to get worse if nothing is done (R- 450, L – 625). 2) If the answer to (1) is yes, shd we use the normal or progressive lenses? Understood that transition (darkened lenses) is a must. 3) Assuming we proceed to use the 1% dosage on both eyes, is progressive lens really necessary? My concern is whether the child is able to adapt. Is it possible to continue using the normal, transition lenses with the 1% Atropine? For eg, will removing the normal specs for near reading or placing the document/work further help? 4) You mentioned that studies have shown that applying the drops once a week vs everyday may have the same effect. Shd we start of with say once or twice a week instead of everyday? Will this help in terms of being able to keep to the normal lenses instead of progressive lenses? Hi, you need to discuss these questions with your regular doctor, who has examined your daughter and knows her history better. But in general I think it could be quite difficult to get used to a situation where one eye is on 0.01% and the other on 1% atropine. Given the difference in spectacle degree and the fact that one eye is already -6.25, if you change to atropine 1%, then progressive lenses will be advisable. In fact I think it will be harder to get used to using a different concentration in each eye compared to getting used to the progressive glasses. To recap, my feeling is if you have decided to change from 0.01 to 1% atropine, it would probably be best to change in both eyes (bearing in mind that there will be the usual side effects from a dilated pupil of sensitivity to light as well as difficulty focusing for near), and then get progressive and transitions lenses. Otherwise, if that is not tolerable, then best to stick with 0.01% and accept that the myopia is likely to increase for a while yet. But as I mentioned before, it's best that you discuss this with your regular doctor before making a decision on this. Even if you use 1% eyedrops once a week, you will have trouble reading at near for the entire week so that does not remove the need to wear progressive lenses for near. When we first started doing .01% Atropine drops treatment for our son, our Optometrist had told us it is okay to use the drops even after the expiry date as long as it is refrigerated. The compounding pharmacy was sending us 3 months supply but each of the 6 bottles only had a 1 month expiry date. We continued using it even after the expiry date because the optometrist had said so and I think we didn't see the small note from the Pharmacy stuck on the side of the bottle about freezing the bottles for longer use. I just saw it yesterday and realized that the bottle I was using was 2 months after expiry date !! The optometrist had never told us about freezing it. I called the pharmacy and they said legally they can give an expiry date of only 1 month (but they are sending us 3 months supply each time). They also said the effectiveness may be reduced. Is this true? I think totally I may used 4-6 months of expired bottles out of the total 9 months of atropine drops treatment :(. Have I caused more harm than good for my son? In general, I would never freeze eyedrops. It is OK to refrigerate eyedrops but not to freeze them ie you can put them in the lower compartment of the fridge. Freezing can change the concentrations of medications and even spoil certain types of preparations. As I do not know the specifics of how your atropine is prepared, I can't advise on the appropriateness of your practice. You should clarify your situation with your optometrist, ie why he/she thinks it is OK to use after the expiry date and what he/she thinks about freezing the bottles. I'm living in Turkey and I have 11 years old sister. She has progressive myopia and our doctor suggested to use Atropine eye drops 0.01% However this drops are not sold in Turkey. Is shipment possible? No, I'm afraid that's not possible. You need to be our registered patient and have consulted at our clinic before we can dispense any medicine for you, as I've mentioned before in other posts. My son is on atropine. His latest eye check shows that he still has increase in his shortsightedness, albeit at a slower rate. The optometrist asked us whether we want to change his new glasses to the full prescription according to eyesight test or to have it at one step down , i.e. to have reduction of 25 degrees for each eye . Can you give me your opinion ? Thanks in advance . Hi there, generally speaking, as long as the measurement is accurate, I would go with the full myopia correction. Reducing it by 25 degrees is not harmful, but there are 2 main implications: Firstly, vision in the far distance (>~4 meters) is a little bit blurrer. Secondly, you probably will have to change the glasses more often, because with any further increase in myopia, you will reach the threshold where the blurring is too much, sooner. eg, let's say when the myopia experienced while wearing glasses is 100 degrees it is so blur you need to get a new pair of glasses. If your glasses are undercorrected by 25 degrees, you will reach that level if the underlying myopia goes up by 75 degrees. If you fully correct the myopia with glasses, then if the underlying myopia increases by 75 degrees, the effect experienced while wearing glasses is also just 75 degrees, so you might not need to change the glasses so soon. There is also no evidence that undercorrecting the myopia helps with slowing myopia progression. If the myopia is already slowing in progression, that's very good and you should probably carry on with the atropine, in consultation with your doctor. Do make efforts to spend more time outdoors also. Hi Dr.Por, my son starter using atropine from 2014 May. We moved to USA 2017 August. I need to buy Atropine 0.01% in USA. Where can i buy it. Or can I order online from Singapore? Atropine is a prescription only medicine everywhere in the world. That means that doctors can only prescribe them to patients who they have seen and examined. You will have to see your local eye doctor to get a prescription for this medicine. I'm currently 15 years old and I started 0.01% atropine eye drops about a month ago. Since then, I'm sure that my eyesight has worsened - my vision is blurrier and I'm even more shortsighted than before. I've done some research online and it seems that these side effects are not common for the 0.01% dosage. Could I be experiencing these side effects because I'm too old for atropine? (Most studies only say it's effective for children, and I'm already 15.) Do you think the blurriness and increased shortsightedness I'm experiencing will go away if I stop using the drops? I'd like to hear your thoughts. My daughter has been using Atropine for 1 year and her myopia is still progressing 100 degree on both eyes, her astigmatism is progressing with myopia as well. Her eyes power now are L -2.25 & - 1.5 cyl, R - 1.75 -1.25 cyl. She is not keen to wear glasses., she said she isn't comfortable especially during her sport activities. We're thinking of Ortho K for her. But I'm concern if we stop her Atropine, her eyeball elongation will bounce back. Can she have Atropine along with Ortho K. Could you please advise me? Thank you Doctor! Or if we reduce the dose from one drop per eye daily to one drop per eye every second day. Does this still help her with myopia control or her myopia will get worse because of the dose reduction? Thank you Doctor. Hi My name is Sakib and I hope you are well . Aparently both my son and daughter been prescribed with high myopia( -6)at Samitivej and Banrungrad hospital in Bangkok. My children are 5 and 3 years old . Problem is I have to send someone from Dhaka (my home land) Bangladesh to Banglok everymonth to get a mixture of 0.01%. That expires in 28 days of mixing. This way of procurement is very painful expansive and unreliable. As a father i feel really helpless. I was hoping if you could direct me to a place country shop from where I can go and buy in bulk. Hi Dr. Por, Thanks for such a useful blog. My child have progress from 0.25 to 6.25 in 2 years time frame. I have HMO plan they suggested 0.01% Atropine once a day, but some other facility suggested 0.02% 1 drop before sleep, or, use 0.01% twice one before sleep and another after sleep time.